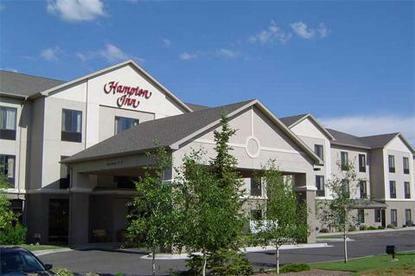 The Hampton Inn Laramie is located in the southern part of Wyoming where the University of Wyoming is located. The decor is traditional with a fireplace in the lobby, wireless High Speed Internet Access and a business center and three meeting rooms that can accommodate as many as 170 guests. There is also an exercise room, indoor swimming pool and hot tub. The hotel has 84 rooms with queen and king rooms, including facilities for handicapped guests, with roll-in showers. Each room has a 27'' color TV with remote control, iron and ironing boards, coffee maker, hair dryer, data port with High Speed Internet Access, and a large work desk. Also available is a guest laundry for the traveler. We offer three hot tub suites, adjoining rooms and king and double queen suites with microwave and refrigerator.